It is seldom now that we see a basketball team field two bigmen that will post up and backdown an opponent in today’s game. In the advent of analytics that points to favoring a three point attempt over other shots, can June Mar Fajardo and Greg Slaughter be still important players in a team’s success like it was around two decades ago? Or did the long range shooting phased out the vital use of probably the remaining players that define a true-blue center? The end of Ginebra / San Miguel twin towers’ dominance? Not really. It will be up to San Miguel Coach Leo Austria and Ginebra Coach Tim Cone how to maximize them in the line-up to go along with Christian Standhardinger and Japeth Aguilar combos, respectively. Regardless of what system Austria or Cone runs, these San Miguel and Ginebra twin towers should still be attractive as vital components for their teams to become championship contenders. It just wasn’t as important as it was in yester years now that elite and speedy wings and guards are taking over the key plays of PBA teams. 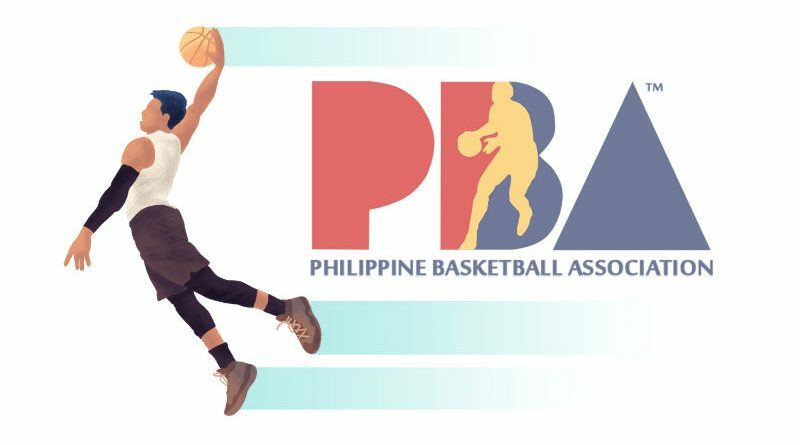 When NBA coach Mike D’Antoni employed his famous “7-seconds” offense with the Phoenix Suns then and his Houston offense today, he set up a culture that will probably benefit the Philippines the most. It is also emphasized that the shoot that would be taken is not just any shoot, it is designed to be an open one [which is likely because they had Steve Nash at that time]. He was right in that the offense he ran from 2004-2010 helped the Suns reverse a 29-win season into a 62-win one. They even reached the Western Conference Finals at one time, losing to the eventual NBA champion San Antonio Spurs in a highly physical match-up. This system basically killed the slow, lumbering man in the middle, who would become a liability both in offense and defense. Another philosophy of his today: the best shots to attempt are the open three or the drive that is either uncontested or that has the potential to result to free throws. To make it simple: in six attempts, one has convert only two threes compared to three twos to get the same result. In essence, a 33% three point shooting clip is as effective as 50% two point conversion percentage. It may sound immaterial in the short run but as more and more attempts are taken, it is easier to achieve a three point percentage above 33% than a two point percentage of above 50%. Numerous game boxscores from any league shows that there are more and many instances where a team finished with a 3pt shooting percentage higher than 33% compared with a 2pt percentage higher than 50%. That is why you see the Rockets among those who attempt the most threes and why Carmelo Anthony, who was with the team early in the season, had to apologize for attempting a long two, the worst shot to be taken in this philosophy. Again, it is hard to argue with these philosophies as the Rockets are now a consistent candidate to become 60 plus win team. Their playoff success cannot also be questioned as an injury to Chris Paul in their Western Conference Finals series last year seems to be the culprit of them upsetting eventual champion, Golden State Warriors. Couple these two philosophies, coaches cannot play big men because they are simply big. Most especially if they are slow to rotate and recover to their man and they can’t space the floor. Whereas guards were encourage to post up in the illegal defense era, centers and power forwards, if those positions still exists today, are now forced to play the small ball game, run and shoot, in order stay relevant in a system that adopts these philosophies. It should be noted that while Austria embraces the three point shot as part of his system, Cone, who generally abhors the excessive taking of long shots, is exactly the opposite. According to April 5, 2019 stat posting in the PBA website for the Philippine Cup, the Gin Kings are dead last in three pointer attempts, just around 20.4 a game, and are just making 6 for a 29% shooting clip. Their three point attempts make up just 25.7% of their 79.3 attempts from the floor, second to last in the league. The Beermen, on the other hand, are firing 34.78 attempts per game and are making connections for a hot 40% shooting clip. They are attempting a total of 85 shots a night, making treys around 41% of them. To contrast, the Phoenix Fuel Masters, the top seed after the eliminations, makes a total of 82.30 attempts a night, 21.30 of them treys (25.9%, last in the league) and converts 31% of those three point attempts. The tallest players in their line-up, Justin Chua, Dave Marcelo, and Doug Kramer, who are all listed by the PBA at 6’5”. Meanwhile, the Rain or Shine Elasto Painters, the second seed, are attempting 79.3 shots a night from the floor, 32.5 of them treys (41%, tied for second in the league). They make 11.2 of them for a 32% shooting clip. Their tallest player: Raymond Almazan, who is listed by the PBA at 6’9”. For the record, the PBA lists Slaughter at 7’0”. The San Miguel Twin towers heights aren’t indicated but Fajardo is believed to be 6’11” while Standhadinger is believed to be standing 6’9”. In conclusion, a team playing in the PBA today can still find success whether they use big men or not; whether they embrace the full utilization of three point shot or not. It’s just a refreshing sight to see PBA teams utilize small lineups, embrace the three point shot, not rely on paint dominant bigmen and still achieve real success, that of becoming legitimate championship contenders. At the very least, teams will not put too much value on height alone when recruiting for players. It means well for a nation of relatively short people playing in a sport that generally requires towering height.